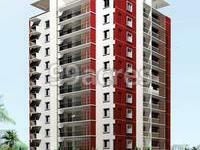 Jeno Sougoumaran is one of the residential developments of Jeno Maran Group. It offers spacious 2 BHK and 3 BHK apartments. The project is well equipped with all the amenities to facilitate the needs of the residents. In which area is Jeno Sougoumaran located?The project is situated in Reddiarpalayam, Pondicherry. What are sizes of apartments in Jeno Sougoumaran? The apartment sizes in the project range from 1073.0 sqft to 1385.0 sqft. 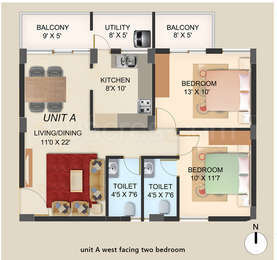 What is the area of 2 bhk in Jeno Sougoumaran? The size of a 2BHK unit in the project ranges from 1073.0 sqft to 1112.0 sqft. What is size of 3 bhk in Jeno Sougoumaran? 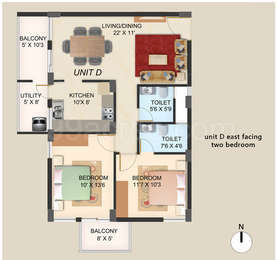 The area of 3 BHK apartments ranges from 1374.0 sqft to 1385.0 sqft. What is total size of Jeno Sougoumaran?The project is built over an area of 0.36 Acres. How many number of towers are there in Jeno Sougoumaran? With 1 towers, the project offers 50 housing units. Stainless steel sink without drain board. Jeno Maran Group has been building low-density properties in Pondicherry. It was incorporated in the year 1989, with a motto to build next level integrated homes for the people. t, Jeno Saibaba Residency, Jeno Luckshmi, Jeno Kaivalyam. Jeno Maran Group has been awarded several times for the excellent performance and consistency. Some of them are Rotary Green Construction Award, Green Environment Builder Award for the Year, Awarded Vanigamani Viruthu for Best Builder at Indo-French culture Heritage.